Older than Old Blended Malt Whisky, 46.5%, Not so many bottles. 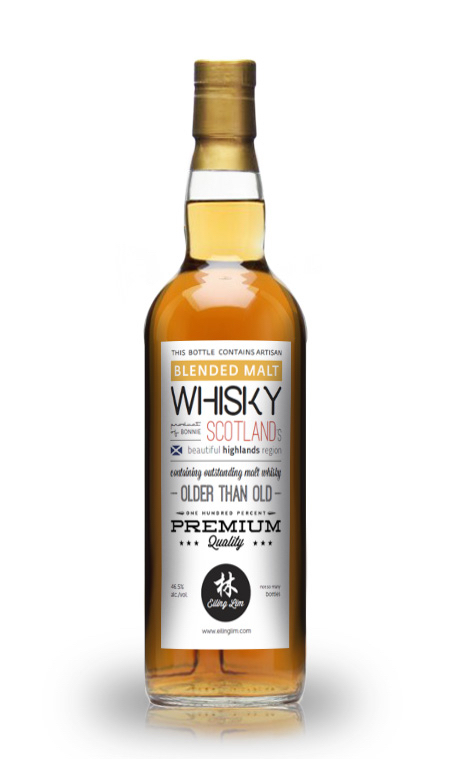 It contains Old Highland and Speyside malts from the 70’s, 80’s & 90’s that are vatted together in a sherry cask to produce a smooth and old-style whisky lingering experience. Bessie's Dram - Single Islay Malt, Bottled 2006, 51.3%, Eiling Lim, Not so many bottles. Named after Bessie Williamson, being the first woman to manage a Scotch whisky distillery during the 20th century and former owner of the Laphroaig distillery, I think I don’t have to mention the origins of this whisky bottling. Tennessee Whisky, Bottled 2006, 51.5%, Eiling Lim, Not so many bottles. The Tennessee Whisky is spelt without an ”e” because this distillery in Cascade Hollow, Tennessee believed his product to be as smooth and high in quality as the best Scotch whisky. This is where I would like to present the extra-old bottlings of blended malts or blended scotch whisky which represent the very reason why we fell in love with whisky. Whether it be blended scotch or blended malt, if it is good, it is definitely worth sipping. In my continuous search for old malts and old scotch, we have came across these bottlings which are just superb to drink, appreciate and show-off on every occasion. If you want a reminiscence of the old whisky taste, look no further. Tennessee Whisky, 51.5%, Eiling Lim, Not so many bottles.